Elegant and contemporary drop earrings comprising a diamond stud and an elongated polished white gold bail. 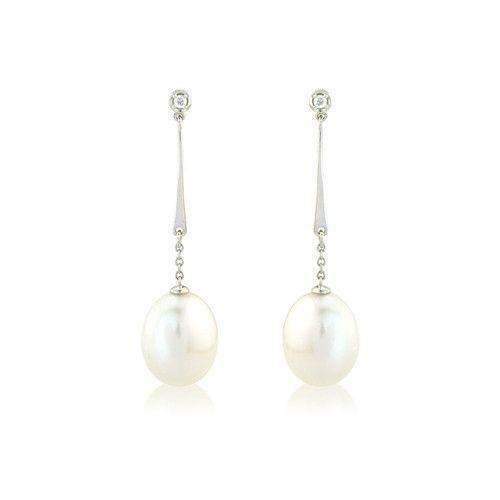 The white pearl is attached to the end of the earring by a short fine chain. The parts of the earring are linked together but each one moves independently. A matching pendant necklace is available.